German engineering firm Siemens has bagged a contract from electric utility Pampa Energía to expand the capacity of a gas-fired power station in Argentina from 168MW to around 364MW. Siemens will be working alongside its Argentine partner Techint on the project named as Genelba Plus which would see the conversion of an existing gas-fired plant into a combined cycle power plant. 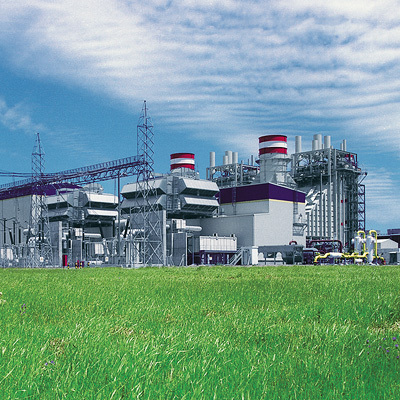 The converted and expanded power plant is slated to be commissioned in mid-2019. Designed as a multi-shaft combined cycle power plant, Genelba Plus will feature two gas turbines and a steam turbine which will drive their own generator. As part of the contract, Siemens will supply and install a SGT5-2000E gas turbine, a SST-5-5000 steam turbine, and two SGen-100A generators. Apart from that, the German manufacturer will also deliver two NEM heat recovery steam generators, the SPPA-T3000 distributed control system to go along with medium and high-voltage components. Siemens will also handle the engineering and give its assistance in assembling and commissioning of the equipment. The company says that it has signed a letter of intent for servicing the plant. Siemens Power and Gas Latin America sales region vice-president José Aparicio said: “This contract represents a continuation of the outstanding track record we have built up in the past two years, and underscores our commitment to the electricity generation market in Argentina. In May, Siemens had secured a contract for servicing, maintenance and a capacity upgrade for the existing Genelba combined cycle power plant. As part of the agreement with Pampa Energía, Siemens will provide the services for eight years for the two SGT5-4000F gas turbines and the SST-5000 steam turbine at the plant. Image: Genelba gas-fired power station in Argentina. Photo: courtesy of Siemens AG.